The 2013 Palos Verdes Concours d’Elegance will be staged September 15th at the Trump National Golf Club in Rancho Palos Verdes, California. Among the headline entries at this year’s event will be the famous ’20 Grand’ 1933 Duesenberg SJ Torpedo Sedan that wears a California license plate with its original sales price. 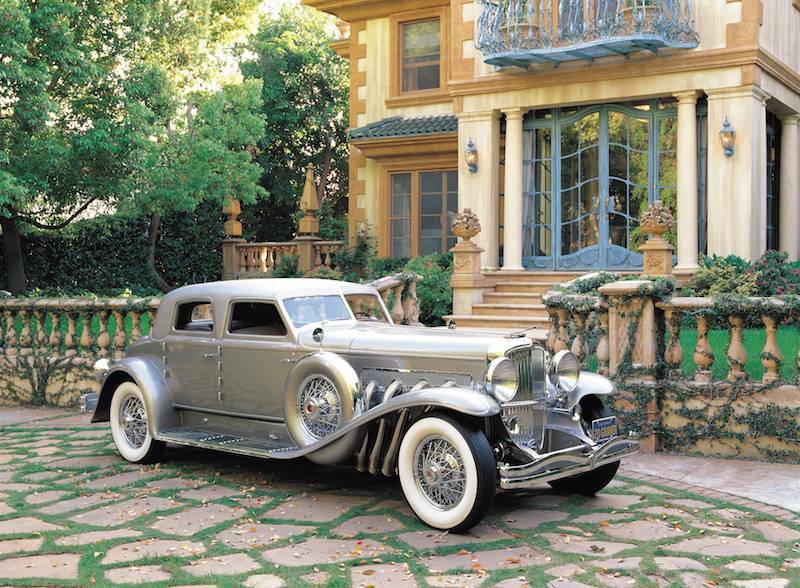 Part of the Nethercutt Collection, the Duesenberg was restored in 1979 and took top honors at Pebble Beach in 1980. It was originally built for display at the 1933 Chicago World’s Fair Century of Progress Exhibition. The 21st annual Palos Verdes Concours d’Elegance will celebrate the “Age of Elegance” with featured classes that include Rolls-Royce, Bentley, Duesenberg and the coachwork of Raymond Dietrich. The Concours will also recognize the centennial of Aston Martin, the 60th anniversary of the Corvette, and the 50th anniversary of the Loewy Avanti. Other classes will showcase post-war luxury cars, a full range of sports cars and a selection of preservation cars. The Palos Verdes Concours d’Elegance 2013 will be preceded by a Pleasure Road Rallye on Saturday, September 14th, where drivers and passengers can take in the beauty of the Palos Verdes Peninsula while competing for prizes. Peter Brock, the legendary designer of the Corvette Stingray, Cobra Daytona Coupe and other iconic automobiles, has been named Grand Marshal of the 2013 Palos Verdes Concours. Brock will drive his Superformance Coupe, a modern version of the Daytona Cobra Coupe, in the Pleasure Road Rallye, and the car will be displayed at the Concours the following day. The PV Concours is a 501(c)(3) charity event with proceeds benefitting the Palos Verdes Art Center’s educational and community outreach programs and Palos Verdes Rotary Foundation charities, including Harbor Area Boys & Girls Clubs. For more information, visit www.pvconcours.org or call 1-866-522-7746.